Our first Parent Teacher Association meeting is being held on Wednesday 21 February in the school staffroom. The AGM starts at 7pm and this is followed by a general meeting at 7:30pm. Kirkwood Intermediate School have selected five pupils to attend a trip to China this term. Thank you to Education New Zealand for your support in contributing towards our trip to China this year. We also want to thank our China Sister School, China Chengdu Bilingual Experimental School, for helping to organise the programme, homestays and schooling the pupils will participate in once they are in Chengdu, China. Our pupils are really looking forward to the opportunity to experience new sights, sounds, foods and learn about the culture and people of China. 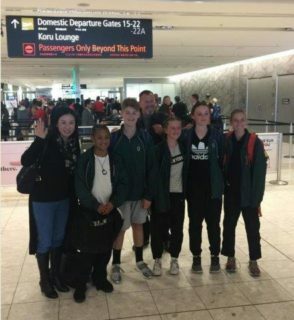 Student exchanges such as this are a great way to help our pupils to develop a global perspective and gain a sense of New Zealand’s place in the world. This trip will expose the pupils to different worldviews, and ways of thinking and looking at things, helping us become more outward looking and accepting of other cultures. 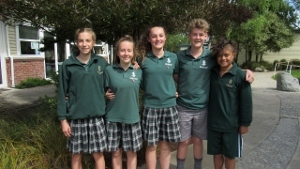 It is a real privilege to have received funding from Education New Zealand as only ten schools across New Zealand have received this assistance, with Kirkwood Intermediate being the only school in the South Island. 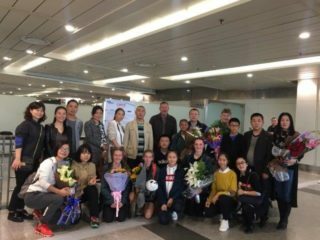 We attend Kirkwood Intermediate School and have been selected, along with three other students, to attend a cultural trip to Chengdu in China. We have been very fortunate that this trip has been made possible with the generous funding from Education New Zealand to go towards our travel expenses. Our excitement starts this Friday 20 October where we fly to Chengdu and meet up with our home stay families with a welcome dinner. We get to spend the next 7 days at our home stays, attending the local school and learning the local arts including brush writing, stitch work and making the traditional Dumplings. The big highlight is getting to visit a Panda Park! As a group, we will be performing items from our Kapahaka group to 2000 students! Once we leave Chengdu we get to fly to Shanghai for 4 days to experience the hustle and bustle of a city with a population of over 24 million people. One of our highlights will be getting to go up the Shanghai tower, which is the second tallest building in the world. At 8pm on Friday we flew to Auckland. Once we arrived we waited for two and a half hours. At midnight we left Auckland for our eleven-hour flight to Hong Kong. The plane ride was awesome and took a very long time, however, it was worth it. We then flew to Chengdu. We were welcomed by our homestay families who then drove us to the school which we will be attending on Monday. When we arrived at the school we had a meeting with the staff and homestay families. After the meeting, we went with our homestay families and had dinner. All of the homestay families gathered together and went out for the day. Our pupils visited local attractions. They really enjoyed their day and tried a lot of different food. They are amazing families to be with which makes our pupils very happy. They are looking forward to attending school the next day. Our pupils started their school experience today from 7:30am – 5:30pm. Our sister school has a weekly flag raising ceremony on Monday morning. We all attended the ceremony and we received a very warm and welcoming speech from Principal Li. Our pupils responded with Māori songs. They had a busy day following the classroom routine, and were offered specially cooked lunch, ending their school day with learning brush writing/painting. 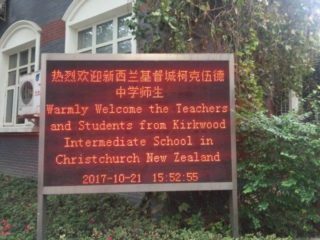 Please note: Refer to our Kirkwood Intermediate School Facebook Page and view our 2017 China Trip Album and you will see some amazing photos! Our pupils are really looking forward to the opportunity to experience new sights, sounds, foods and learn about the culture and people of China. 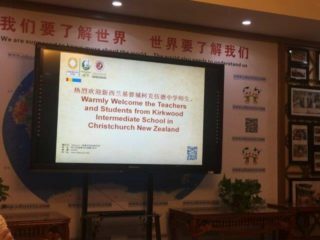 Student exchanges such as this is a great way to help our pupils to develop a global perspective and gain a sense of New Zealand’s place in the world. It will expose the pupils to different worldviews, and ways of thinking and looking at things, helping us become more outward looking and accepting of other cultures. We wish our pupils all the best for their trip ahead. We have (very loosely) based our play on Snow White. She unfortunately has been adopted into the Kardashian family. This is only the beginning of her problems. There will also be big groups of dancers and singers. One scene is based around NZ Has Got Talent. In this scene, anyone in the school who has a talent at anything is encouraged to take part. Tickets can be purchased at the school office and are on sale now! A bus has been booked for 1:30pm to deliver your child back with adult supervision. Saturday May 6th, 6:30 for 7:30pm. Ever suffered from memory loss? Imagine the predicament of poor Robert Zeinfeld. Found wandering the streets at 4am, without a clue how he got there. Total amnesia! The policeman has to establish who Robert is. Perhaps he hasn’t lost his memory at all. Perhaps it is all an elaborate cover up. The more the policeman digs, the more confused he gets, until he finds himself wrestling a plot with countless twists. The Student Council are holding an International Dress Up Mufti Day on Thursday 6 April. It will be a gold coin donation. All proceeds will go towards our Student Council and all pupils will be allowed to wear their national costume, if you are a kiwi you may like to wear black. There will be prizes for the best dressed and most culturally dressed. Our International Food Festival is on Friday 7 April at Lunchtime (1:00pm). There are free tickets if you donate a dish, otherwise it is $2 for 3 tickets or $3 for 5 tickets. Tickets are sold on the day of the event at lunchtime in the hall. To make this event a success we are trying to get as many different types of food from as many cultures as possible. If you are able to assist by providing a dish on the day or help with the distribution at school, your help would be very much appreciated. The return slip is in the latest newsletter or contact the school office for more information 033487718. Thank you. We are really excited to see our first school Kapa Haka performance of the year, led by Matua Anton. The growth we have seen in our Kapa Haka group this year is fantastic. Phil Tappenden will greet you all and Peter Aitken will speak about reporting and Teacher-Parent-Child interviews for the following week. He will also talk about what to expect and why attending interviews is beneficial for you and your child, what questions do you need to ask your classroom teacher and why communication and regular contact is important. We will also speak about Goal Setting. 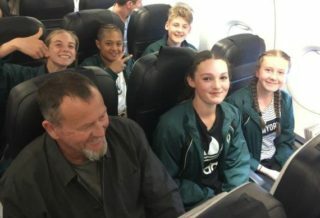 Kōrero/ Discussion: What can Kirkwood do to help our Māori and Pasifika students? What does it mean to Māori to succeed as Māori? This will be followed with kai provided by the school, this also gives you time and opportunity to be able to talk to teachers and your school community informally. Games for tamariki with Lizzy and the CDN Community Trust (Community Development Trust) will entertain your whanau. Everyone is invited from any background and more than welcome to come along and see what it is all about. We really look forward to having you along and showing support for our growing rōpū.